The paths of multiple serial killers cross over one single, blood soaked night. Which psychopath will survive? Follow the soul of a recently executed serial killer as he descends back to earth and possesses his many followers beneath the full moon. There’s Alice, an escaped mental patient who thinks she’s living in the 1950s glamour world; Blondie, a beautiful seductress who lures men down into her suburban basement; the Midnight Strangler, first seen claiming a victim in a seedy hotel; and an enigmatic masked contract killer who stalks the city with his own deadly agenda. 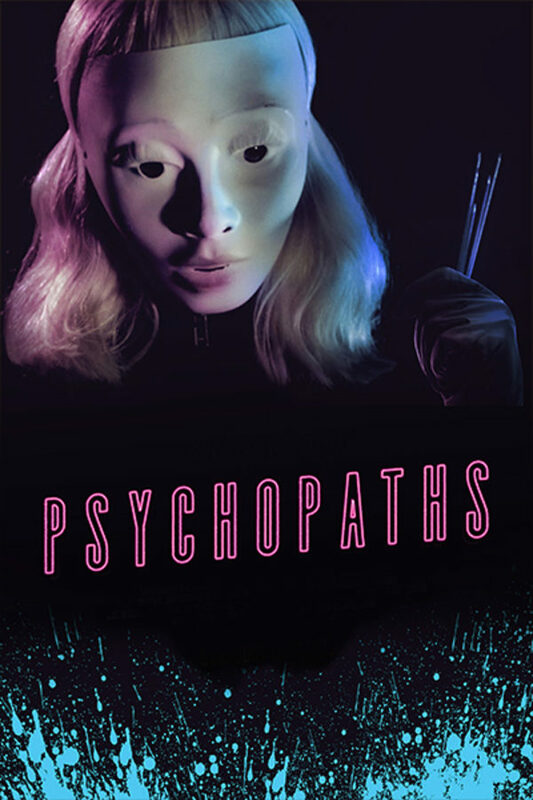 PSYCHOPATHS follows the soul of a recently executed serial killer as it descends back to earth and possesses his many followers. Really not that great. Title was about the best thing this movie had to offer. Couldn't even finish it! Half way in and I'm lost! To arty fartsy also. What's up with the upside down Angles? Style over substance, and there's not much of either. Tries to be arthouse and grindhouse. Fails at both. All the performers succeed at Nic Cage acting as all their dialogue is YELLED or *whispered*. Even at 81 minutes it feels bloated because the story is so thin.